BravoCart : Drag and Drop. Click to Shop. : Laubacher Multimedia Inc.
BravoCart is the easiest to use shopping cart software that you will find. This simple yet scalable solution can get your store up and running in no time at all, and for as little as $19.99 a month! 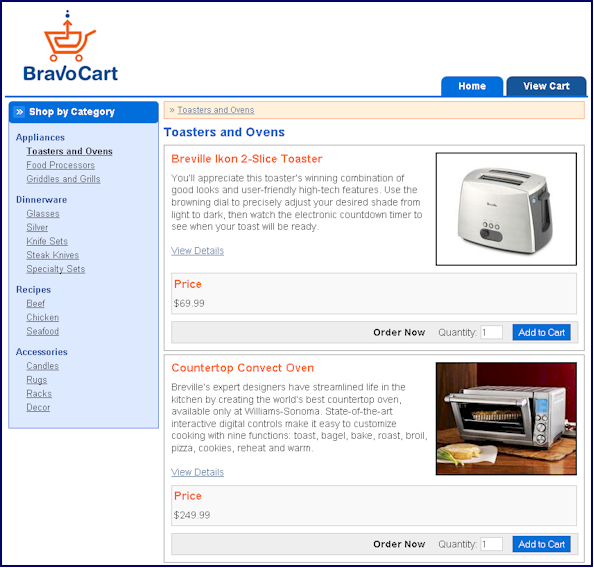 BravoCart is an easy to use shopping cart that provides a very easy to use interface for setting up your store. 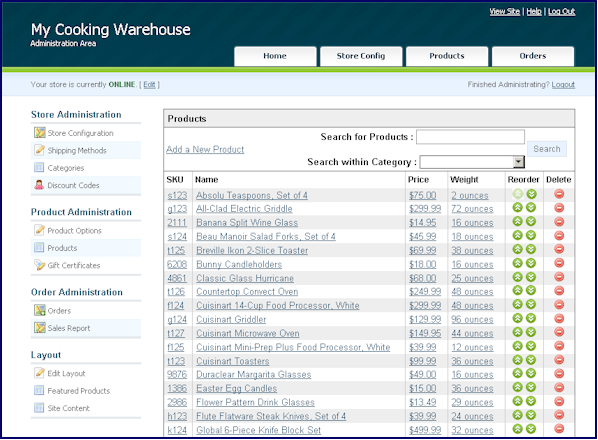 In a few easy steps you can start selling your products today. For a limited time you can try our BravoCart shopping cart risk free with a 1 month free trial. We won't charge your credit card until the first month is up and you can cancel at any time. BravoCart offers a very simple shopping interface that makes it easy for your customers to find the products they want and to then quickly make the purchase. Watch the video below to see the cart in action. Then take the shopping cart for a test drive yourself. When you are ready to buy simply contact us and in no time you can begin adding products and setting up your store. Contact us today to learn more about BravoCart!